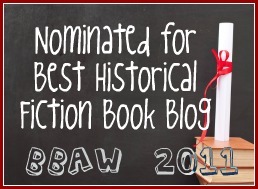 Continuing our new and regular feature here at Historical Fiction. Each Friday we will publish an historical fact based upon the date. Each fact will be accompanied by a book(s) title and perhaps a review or other snippet. 28th February 1900 ~ The Second Boer War - 118 Day Siege of Ladysmith is lifted. The book to accompany the fact is Siege by David Humphry. I read this book back in 2007 when I obtained an early advance, signed copy. Pop back tomorrow when I will share my review of the book!